Uguisu Poo Illuminating Mask is made from 100% Enhanced Uguisu No Fun. This formulation is perfect for clients looking for a brighter, smoother and poreless skin! This mask contains Guanine and Proteolytic enzymes that dissolves dead skin tissue while eradicating stubborn discoloration, darkness and dullness. The result is a perfectly flawless radiant complexion with smaller pores, softer and smoother skin! 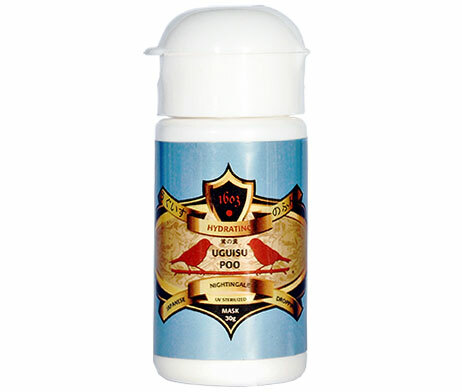 Uguisu Poo Clarifying Mask is made from 92% Enhanced Uguisu No Fun while the remaining 8% of the ingredients is a formulation that treats and control acne and skin infections. In addition to Guanine, AHA and BHA, L-Serine, a proteinogenic amino acid is proven to cause immediate apoptosis of acne causing bacteria upon contact leading to complete control, treatment and prevention of acne and infection. This formulation is best for clients with acne and oily skin. 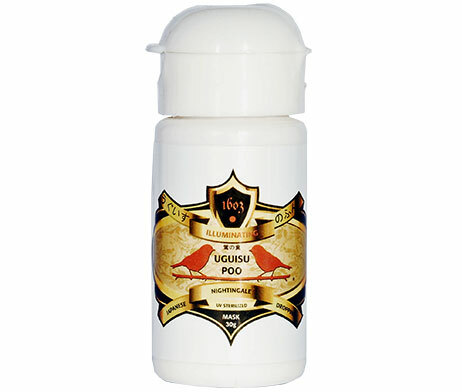 Uguisu Poo Hydrating Mask is made from 92% Enhanced Uguisu No Fun while the remaining 8% of the ingredients is a formulation that replenishes and lock in moisture into the skin. Sarcosine, also known as N-Methylglycine is a naturally occurring amino acid that attracts moisture, retain it and gradually release it as needed leading to a complete skin hydration while Collagen prevents fine lines, wrinkles and other sign and symptoms of skin ageing. This formulation is best for clients above 40 years of age. Uguisu Poo Calming Mask is made from 92% Enhanced Uguisu No Fun while the remaining 8% of the ingredients is a formulation created for people with sensitive skin. Tahitian Pearl Powder provides a very soothing sensation while Butterbur Root Extract blocks leukotriene in the surface of the skin that leads to noticeable decrease in skin redness while treating any superficial allergic reaction. This formulation is perfect for people with sensitive skin. 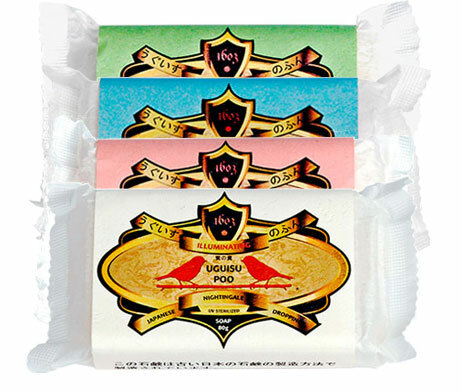 Uguisu Poo Uguisu No Fun Soaps are identically formulated with its mask counterpart. Since its not possible to put Uguisu No Fun all over the body, we created these soaps for body and facial use as well. Illuminating Soap is best used for skin whitening, Clarifying Soap is best used for acne control and treatment, Hydrating Soap is best used for moisturizing and anti-ageing effect while Calming Soap is best used for sensitive skin that is prone to rashes and allergies. Using these soaps together with our masks greatly enhance the skin perfecting effect of Uguisu No Fun!